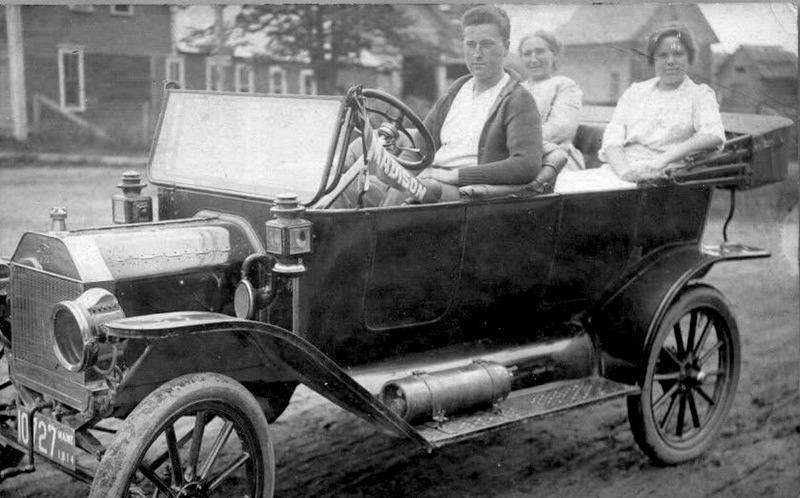 Apparently Madison, Maine 1914. Showing off the new car? Bet it was a college graduation gift from his rich daddy. Looks like his sisters in the back. They all look alike! 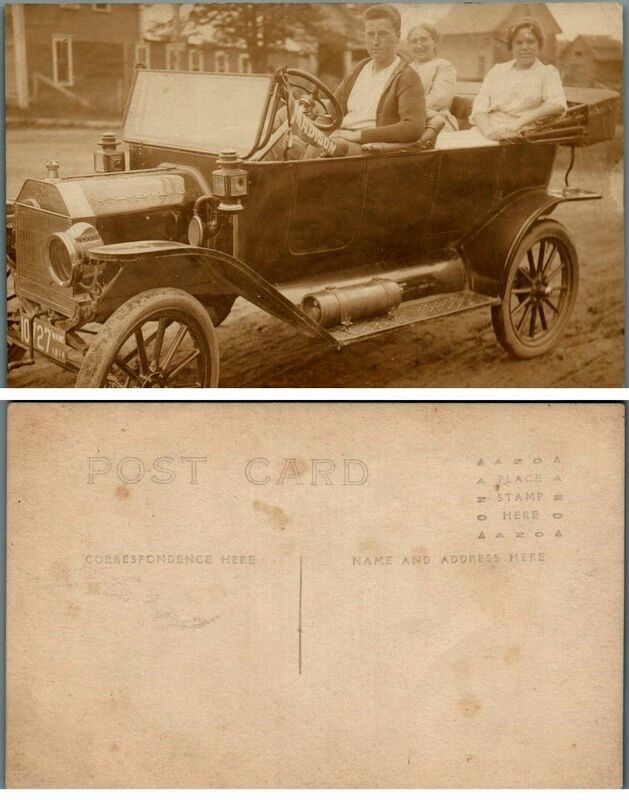 Looks like an early 1914 style Touring with E&J 66 headlights and Corcoran side lights with a large jewel. Prest-O-Lite tank, pin strip on the wheels and speedometer furnished on this one. First class and almost new.